Team Corally - Factory PRO Tools feature super-lightweight CNC-machined aluminum handles with a diamond pattern surface for unsurpassed grip. 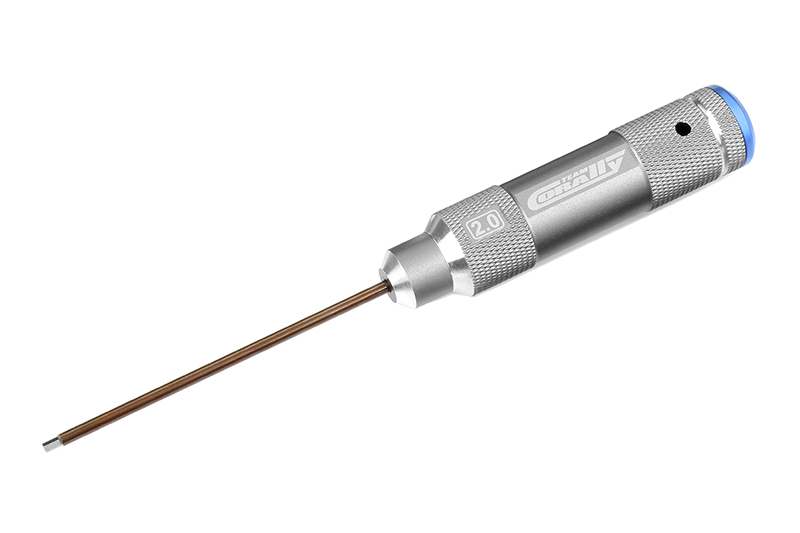 Precision-engraved and easy-to-read markings readily identify the tool at a glance. This generation of TC Factory PRO Tool tips are made from special spring Steel, individually precision-grounded, sized and shaped for perfect fit with fasteners. The special tool hardening processes make the tips ultra-durable.